Comments Off on We Bought A New Car! WOO HOO! 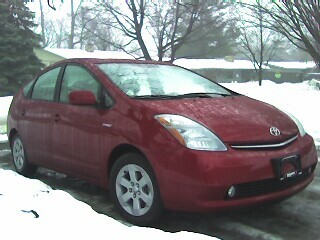 We got a new Prius! Traded in the old one, which was great, and got this one which is even more fancy. The voice-controlled navigation and bluetooth cell phone action is amazingly cool. I can’t wait to navigate in convoluted Pittsburgh now. Mark Hayward Is My Hero is powered by	WordPress 5.1.1 and delivered to you in 0.283 seconds using 39 queries.